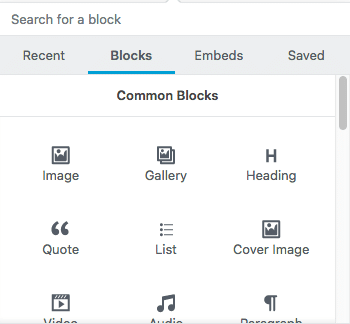 I'm just having a play about with the new Gutenberg editor for WordPress. This is a very quick and dirty post on my first thoughts on using Gutenberg. I'll get around to writing something more coherent and in depth in the next few days. It is quite a big huge change to the writing experience that we have got to know in WordPress over the past ten years or so. On first view, (I installed the plugin version about five minutes ago), it doesn't seem too bad although I can see less experienced WordPress users being confused by it in the first instance. Text and images are now in blocks which can be moved up and down the screen. There are a range of (new) formatting options which can be accessed by clicking on the three vertical dots to the right of each block. Adding a new block gives you a lot of options from paragraph, images, quotes through to a block for verse. This is the citation for the quote. This is a block for verse, the only thing this seems to do is it forces WordPress to honour  line breaks and spaces. That means there is no word wrap? There is an awful lot of new stuff in here that I am going to find and have a play about with to get a better understanding of how it all works ahead of it being launched in to the wild in the WordPress core. 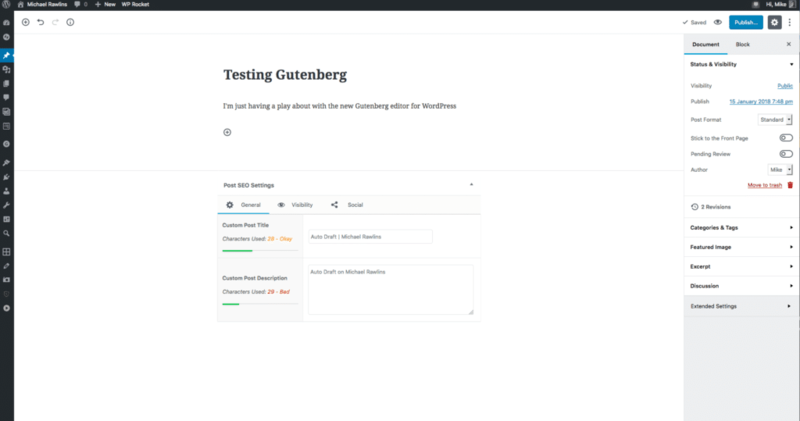 I'm late to the Gutenberg party and I would strongly suggest that anyone who works with WordPress who hasn't yet done so, gets a working copy of Gutenberg and starts to understand its capabilities. 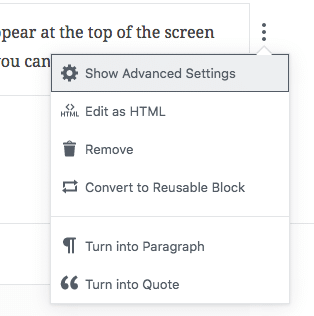 I'm using the plugin version of Gutenberg and there are a few annoying bits that I have spotted. Nag screens, if you have any nag screens appear at the top of the screen the plugin version renders over these and you can't close them, you have to go back to the dashboard to clear them before you can start using the editor.